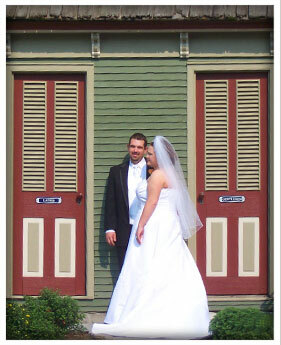 The historic Tulpehocken Manor is the perfect location for all your wedding needs. The Manor front porch, or vast private manicured lawn make exquisite ceremony locations. Several private rooms are available to accommodate the wedding party as you get ready for that special day with your loved ones by your side. The magnificent grounds create a magical setting for your wedding whether you are interested in a natural setting along the creek, a casual rustic feel, or old style elegance on the porch. Convenient paved walkways are located throughout the property to connect the reception area to the main entrance. Indoor parlor rooms are perfect for mingling with your guests and serving hors-d'oeuvres in an intimate space.